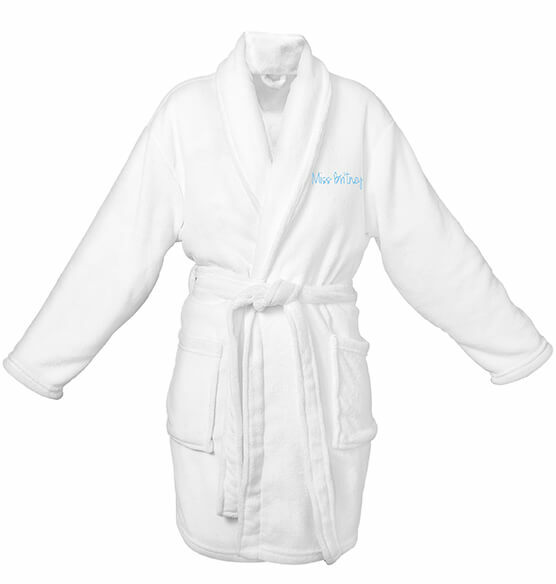 Pamper yourself by wrapping up in this Personalized Shawl Collar White Plush Fleece Robe crafted of soft fleece. 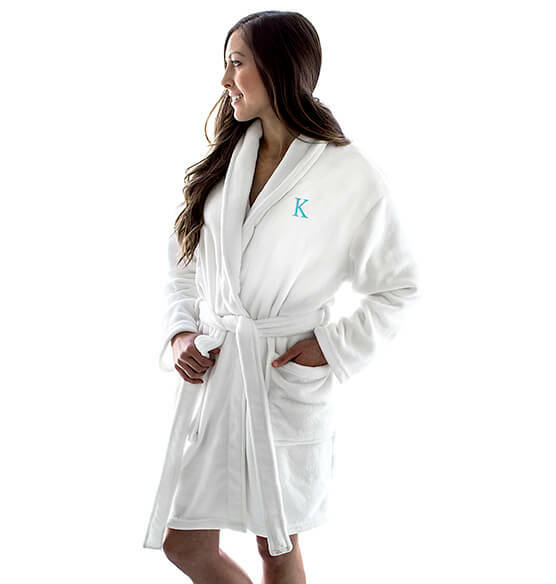 Designed with a fashionable shawl collar, you can keep your hands snug inside the two roomy pockets of this custom bathrobe. 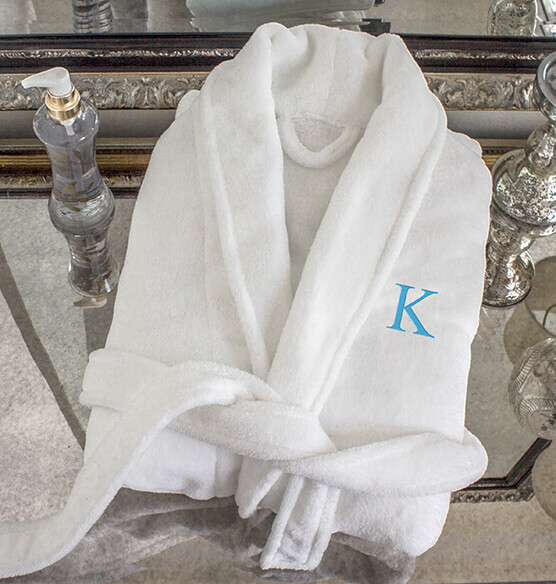 Achieve a comfy fit by adjusting the tie strap of the personalized fleece robe around your waist. Your initial or name appears in your choice of chic thread color.